Former part time model, secretary and successful property sales woman Leona Helmsley, born Rosenthal and having been married to property tycoon Harry Helmsley, passed away in her summer home in Greenwich, Connecticut, USA, on August 20, 2007. Avoiding NYC sales tax on jewelry she bought from famous Van Cleef and Arples jewelers in NYC. Because she cooperated with the prosecution, only the “poor” Van Cleef & Arples employees were convicted after pleading guilty. In 1987 a series of adverse articles in The New York Post about the Helmsleys, set off by one of their disgruntled contractors, led to a broad investigation. 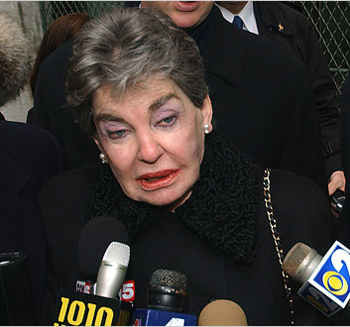 The following year Harry and Leona Helmsley were indicted by federal and state authorities on charges that they had evaded more than $4 million in income taxes by fraudulently claiming as business expenses luxuries they purchased for Dunnellen Hall in Greenwich, Conn, a 28-room Jacobean mansion on 26 acres with a sweeping view of Long Island Sound that they bought in 1983. The house was the setting for a 1968 movie, â€œA Lovely Way to Die,â€ starring Kirk Douglas. In 235 counts in state and federal indictments brought by Robert Abrams, then the New York State attorney general, and Rudolph W. Giuliani, then the United States attorney and later mayor of New York and present Republican candidate for president, the Helmsleys were accused of draining their hotel and real estate empire to provide themselves with such extravagances at Dunnellen Hall as a $1 million marble dance floor above a swimming pool, a $45,000 silver clock, a $210,000 mahogany card table, a $130,000 stereo system, and $500,000 worth of jade art objects. Nothing was too small or personal to be billed to their businesses, from Mrs. Helmsleyâ€™s bras to a white lace and pink satin dress and jacket and a white chiffon skirt â€” the dress and skirt were entered in the Park Lane Hotel records as uniforms for the staff. Mrs. Helmsley was also charged with defrauding Helmsley stockholders by receiving $83,333 a month in secret consulting fees. It seems to the venerable NY Times is behaving a bit like a tabloid itself. I also fail to see what is wrong with Leona’s statement “Only the little people pay taxes” which isn’t a pun, but a well known truth, as basically the rich are able to pay their advisers well and by doing so are able to save a lot of tax which the poor cannot afford to save paying. 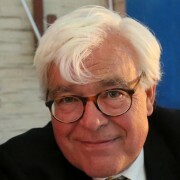 A Dutch assistant professor at Leiden University once even published a well sold book under the title “Paying tax is for dummies”. I worked at the Helmsley Palace in reception during the summer of 1983, while attending Hunter College. Mrs. Helmsley presence was constant and very much frontline. You couldnâ€™t work there and not miss her, she was all over the place. Whatever happened with her and senior management that garnered her the title â€œthe Queen of Meanâ€ I didnâ€™t see it. I saw her as a businesswoman who knew EXACTLY how she wanted things done, though not familiar with staff, I found her straight forward but polite when she made a request (ok, demand). R.I.P. Mrs. Helmsley, there are some of us who had great respect for you, and learned quit a bit from watching you. 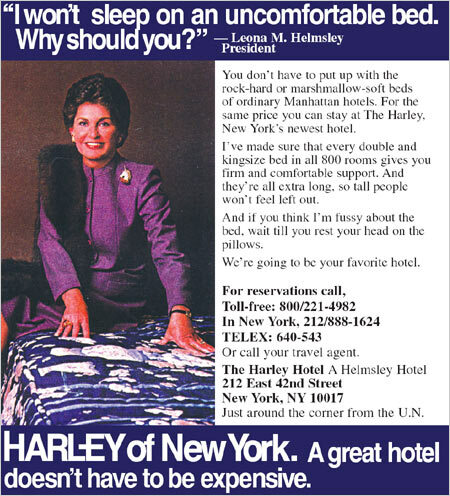 I worked for Leonaâ€™s Harley Hotel hotel chain during my college years. She was a stickler for perfection in everything and personally responded to every comment card. God help a manager that did not promptly address a legitimate complaint. Rumors abounded from the NY City hotels about her meanness and intimidation of employees. She is an interesting character that I will not forget. Whatever she has done she must now account for with the one that is above all Kings and Potentates â€¦ and â€œQueensâ€, whoever they be. Good luck, Leona. If you lived to your reputation, you may need it. But I am not your judge, and he alone knows how you ended your days on this earth. John 13:35: â€œBy this shall all men know that ye are my disciples, if ye have love one to anotherâ€. I worked for Mrs. Helmsley for 12 1/2 years. At the end I actually moved into the house in Connecticut with her and Mr. Helmsley for one year. I have never known an individual as committed to one person as Leona was to Harry. She doted over him as his health deteriorated. I know she was a hard person to many but she was always good to me. At the Palace she would come with Harry to our employees Xmas Parties and she would dance with me as all of her employees circled around to see and touch her. She was a magnetic personality and stayed close to all of her workers. She would even call to speak with people that she trusted in all of her hotels. She definitely had a charmed life and I for one am proud to have known her. I will miss her. I will light a candle for her tonight in my kitchen just as she did for her loved ones who had passed. All in all it is a pity she didn’t blog herself. She must have been a real interesting character. Today in the news that her dog supposedly inherits us $ 10 MILJON! Who is going to walk the dog?